PEEL and finely chop the garlic cloves. COMBINE garlic with turmeric, harissa and a dash of soy sauce. SEASON with pepper and salt. 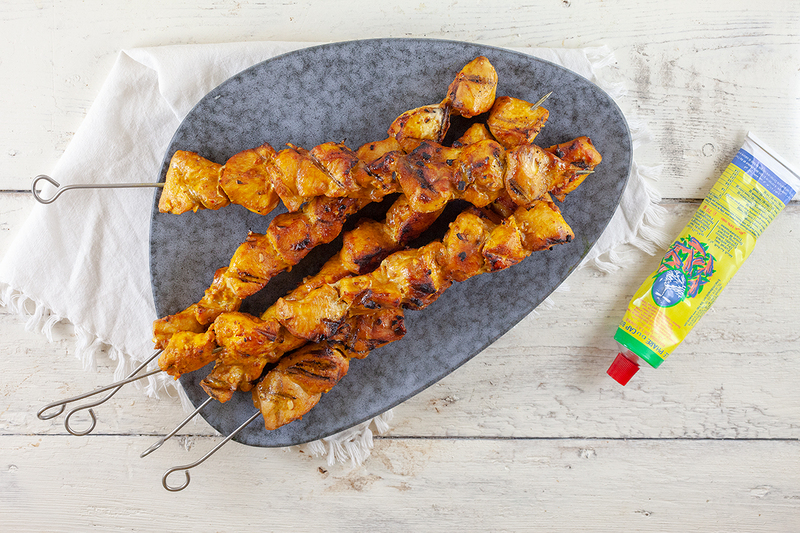 REMOVE any excess fat or muscles from the chicken breasts and divide them into cubes. MARINATE the chicken for at least an hour. 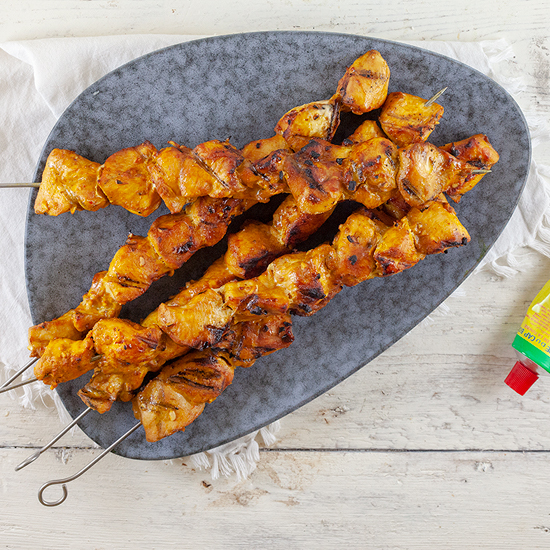 You can GRILL the chicken kebabs on a barbecue or in a grill pan. 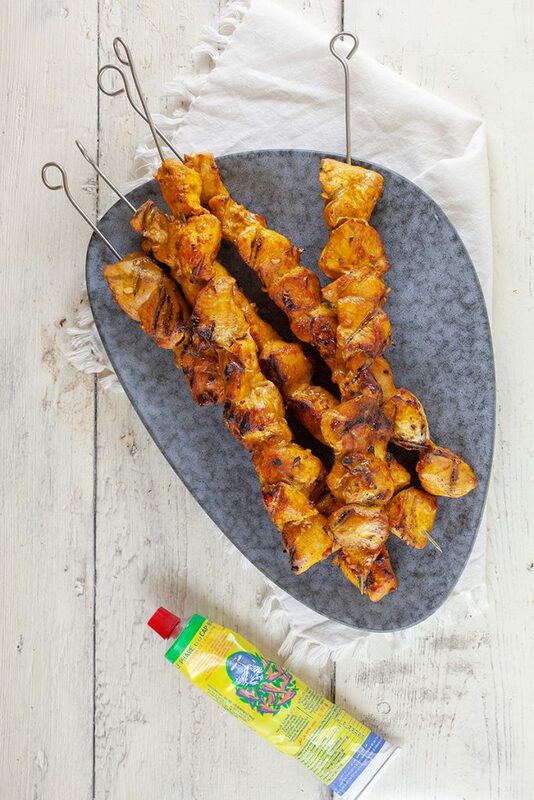 PIERCE the chicken cubes onto the skewers and grill them for a few minutes on each side. 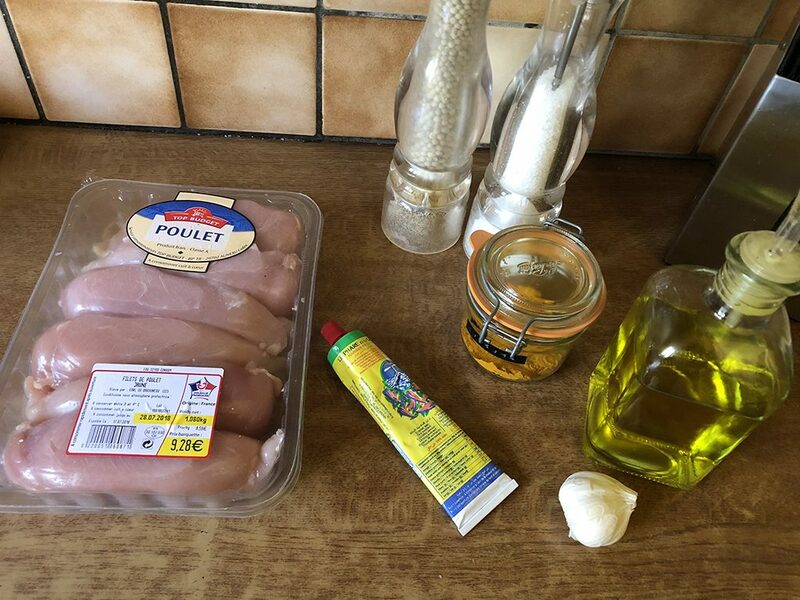 Check if the chicken is done before serving, enjoy!